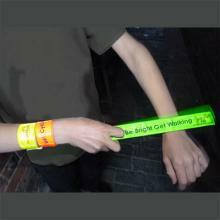 Snaps around your wrist like magic! 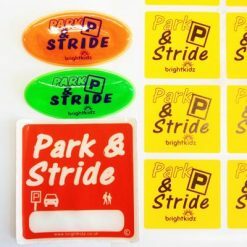 Ready-printed with road safety or active travel message. 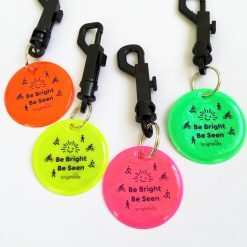 Current stock: Be Bright Be Seen only. For a mix of colors or designs, select ‘mix/any’. 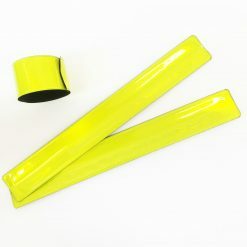 Snapbands are fun, fluorescent, reflective bands which wrap around your wrist or ankle like magic… they can also be put around bag straps, scooter and bike handlebars. As well as helping you to be bright and seen, they are available in a range of ready-printed great designs to support your road safety and sustainable travel schemes. 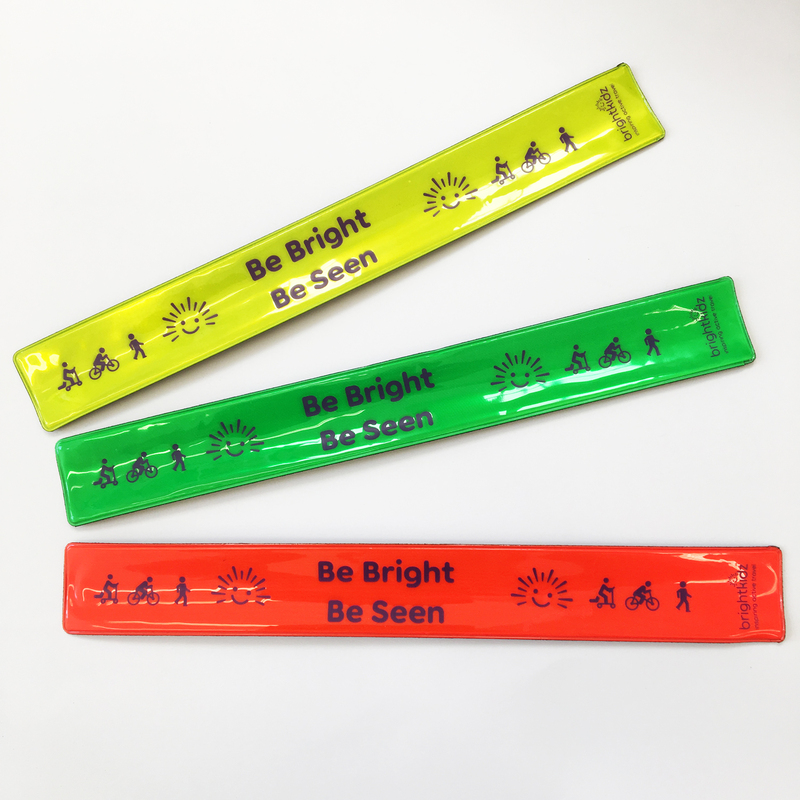 Prices shown include snapband in one of the stock design choices available: ‘Be bright be seen’ and ‘Be bright get walking’. 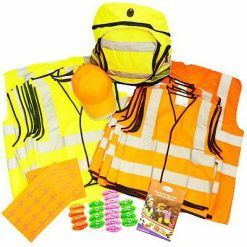 Available in a range of fluorescent colours for good daytime visibility: yellow, pink, orange, green or a mix. 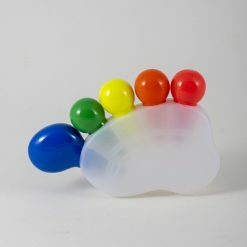 Approx length 23cm, width 3cm. 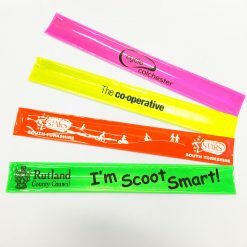 This size is for children (over 36 months); larger snapbands (33cm) are also available which are more suitable for adults. 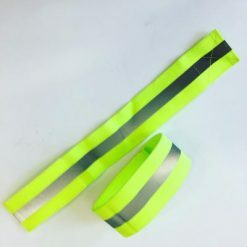 The top part of our snapbands is made of fluorescent, retro-reflective plastic for day and night time visibility – durable and wipe-clean. The underside has a black, suede-like texture for comfort against your wrist. These form a casing around the internal metal spring; the part that makes it snap around. 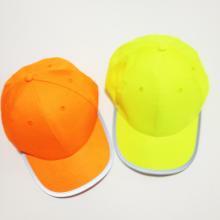 Also available custom printed or plain – contact us. 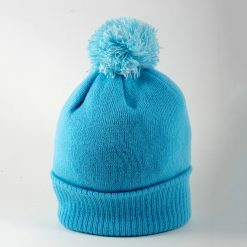 Select ‘mix/any’ if you are having a mix of colours or designs. 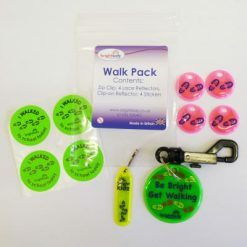 This will ensure you get the right bulk discount price if having a mix of 10 or more. You will be able to enter your choices in the text box which will appear – leave blank if you have no preferences. 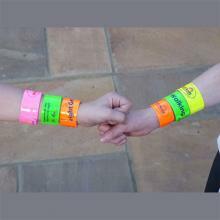 Snapbands are not suitable for children under 36 months. 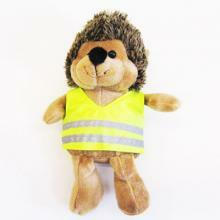 They are intended for adults or older children due to their size and design. 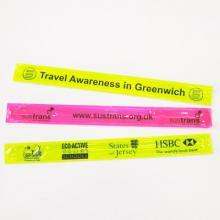 Please note snapbands are not designed to be crushed or bent and can be snapped a limited number of times. If the outer casing becomes damaged or worn please discard the product.